Signage at the entrance to Amgen Inc. offices in Thousand Oaks, Calif.
Drug giant Amgen Inc. plans to build a $160 million “next generation” biopharmaceutical plant at its campus in West Greenwich, R.I., a project the company said will add 150 skilled manufacturing positions and create about 200 construction jobs. 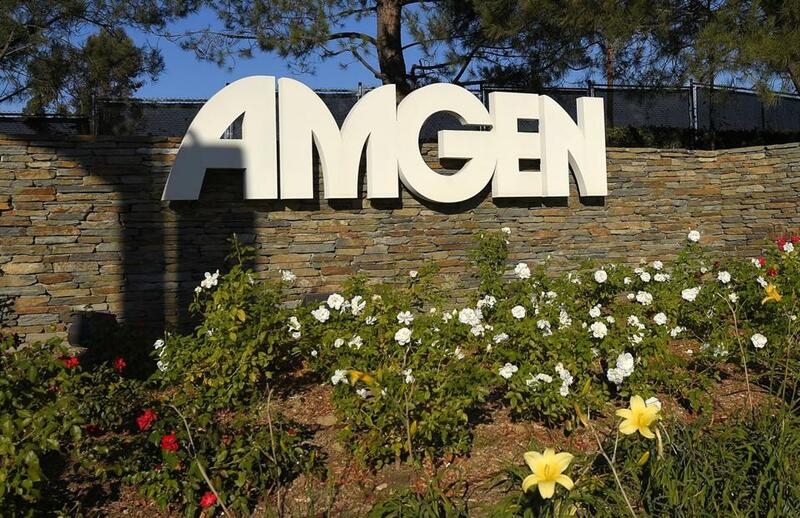 Amgen, based in Thousand Oaks, Calif., said Tuesday that the plant will be the first of its kind in the United States. A next-generation plant incorporates multiple technologies in a single facility and makes medicine using equipment that is portable, smaller, and disposable. Such a plant can be built in half the time it usually takes and has about half the operating cost of a traditional plant, according to Amgen. It also uses less water and energy and produces fewer carbon emissions. The drug maker opened its first such plant in Singapore in 2014. The new one will be built on Amgen’s 75-acre campus, which is next to Interstate 95. That plant already employs 625 full-time workers and houses one of the world’s largest mammalian protein manufacturing facilities. The company has already invested $1.5 billion into the Rhode Island site. Governor Gina Raimondo applauded Tuesday’s news. “I am thrilled that Amgen is planning to expand and bring new, highly skilled jobs to Rhode Island and further enhance the state’s life sciences community and manufacturing expertise,” said the Democrat, who is running for a second term. To encourage the project, the state Commerce Corporation approved tax credits through the Rebuild Rhode Island program and the Qualified Jobs Incentive Act. The value of the Rebuild Rhode Island Tax Credit is $2.2 million. The estimated value of the Qualified Jobs tax credits is $600,000 per year over 10 years. Amgen officials said they considered several locations around the world for the new plant. The officials said they decided on the Rhode Island campus because of the success of the current facility and the quality of life in the area. They also cited the tax cut recently signed into law by President Trump that gives companies incentives to invest in technology. Amgen gave no timetable for when construction will start, but Raimondo said it will be this year.